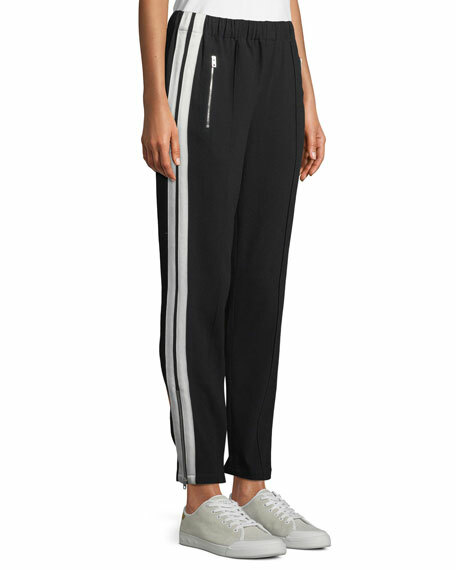 Rag & Bone "Milo" track pants in slouchy, draping fit with side-stripe detail. Approx. measurements: 11.4" rise; 29.5" inseam. For in-store inquiries, use sku #2462745. 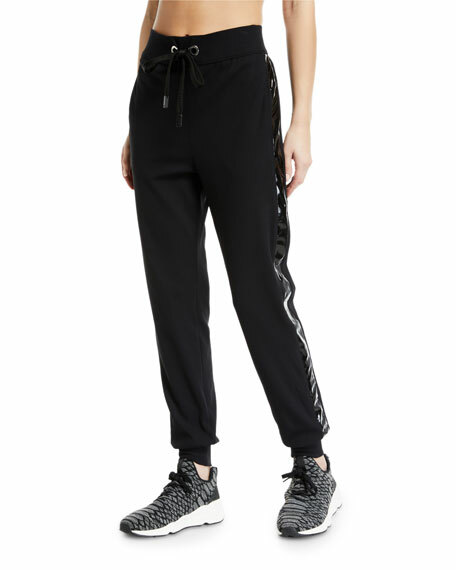 Nylora "Bowery" jogger sweatpants in soft fabric, featuring striped lace-up detail down sides. 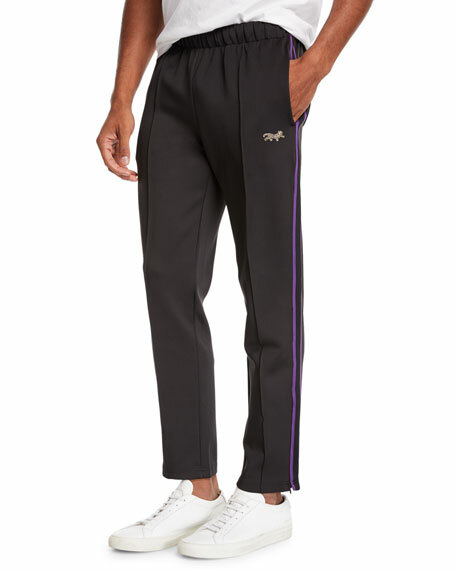 Side seam pockets; one back patch pocket. 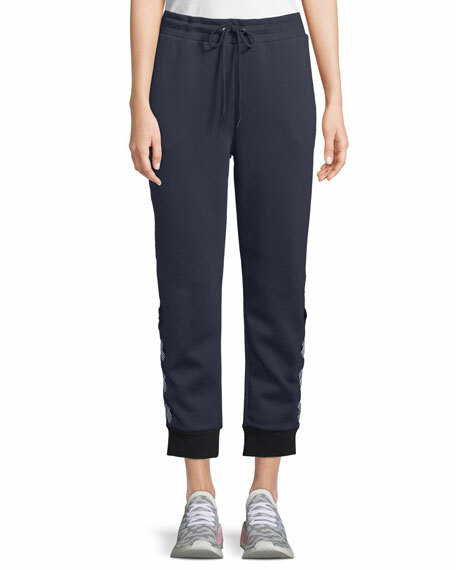 Mid-rise drawstring waist. Relaxed, tapered legs. Pull-on style. Cuffed hem. 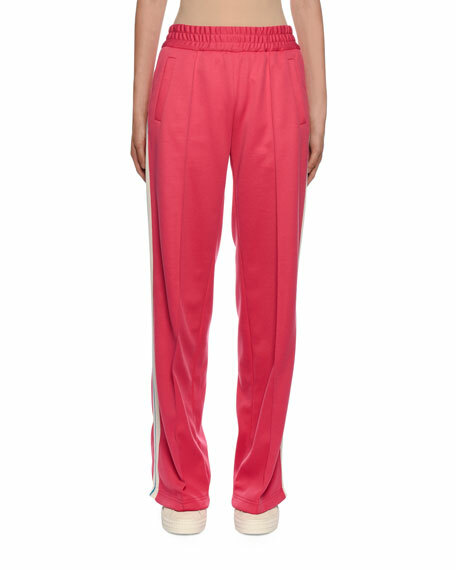 Polyester/lyocell/spandex. Imported. 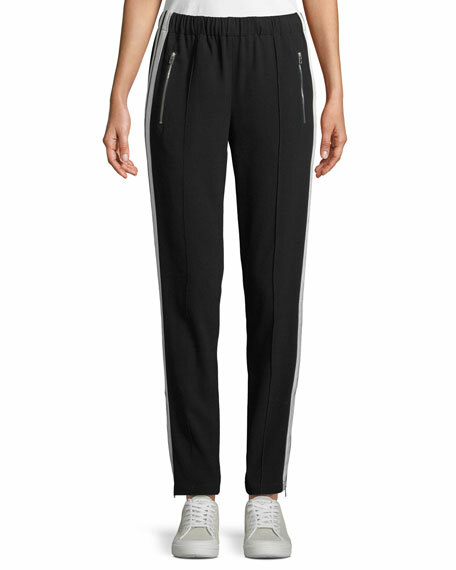 Off-White gym pants in performance knit, featuring contrast side stripes. 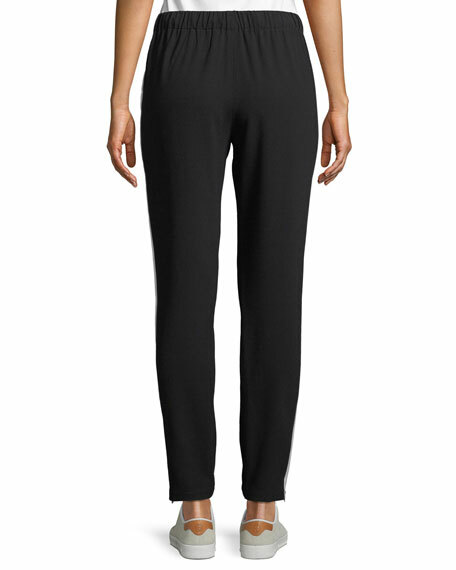 Mid-rise; elasticized waistband. 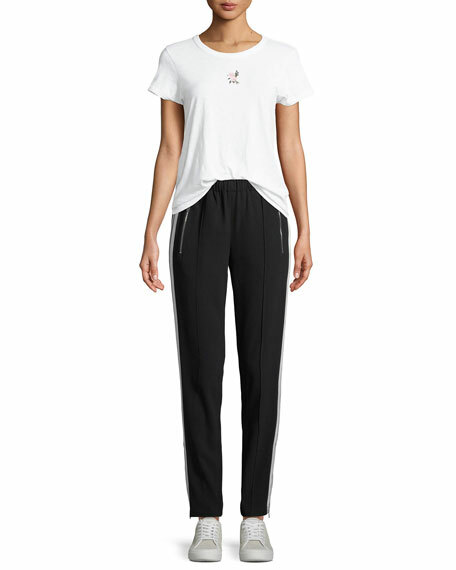 Front slip pockets. Straight fit through legs. Full length. Pull-on style. Polyester/cotton. Made in Italy.